When Google revels Google Hummingbird’s Search Algorithm Update then Matt Cutts spent his one hour and twenty minutes into the video and said "Hummingbird effects 90% of all searches but usually to a small degree because we are saying, this particular document isn't really about what the user is searching for." · Fresh, Unique and attractive content is still important and rich. · Do proper SEO and get all reasonable back links. 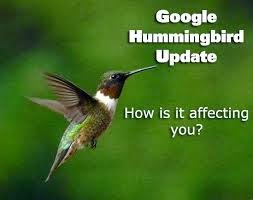 Google Hummingbird’s Search Algorithm Update says that its main objective is to make available results that actually answer the question or the users search query.